Welcome to the Plant Development Lab led by Professor Christine Beveridge, part of the School of Biological Sciences at The University of Queensland. On this website you can find information on our research, our people and how to join us. Plant stem cells are the driving force behind the incredible ability of genetically identical plants to adapt to their environment. Without the ability to lift up and move camp, plants need to adapt immediately to the myriad of challenges thrown at them. Plants achieve this by maintaining small populations of stem cells at growing points in the shoot and root tips as well as in dormant shoot buds, and in tissues along the length of the shoot and root. These meristems can allow individual plants to form completely different and unique architectures and to stimulate lateral growth such as wood production. As in animals, hormones in plants are central to the control of stem cells. In contrast with animals, only a handful of hormones have been discovered in plants even though plants require sophisticated communication to regulate their stem cells. A recently discovered new plant hormone, strigolactone, plays an important role in ‘dormant’ meristems. Like other plant hormones, strigolactone is a small chemical that is produced in extremely low quantities, but is highly active and specific. In our first report of strigolactone as a plant hormone, we showed it was responsible for maintaining dormant axillary buds in leaf axils at a state where they are able to branch out if, for example, the plant suffers loss of its shoot tip, or if branches need to be stimulated to enhance reproduction or competition. 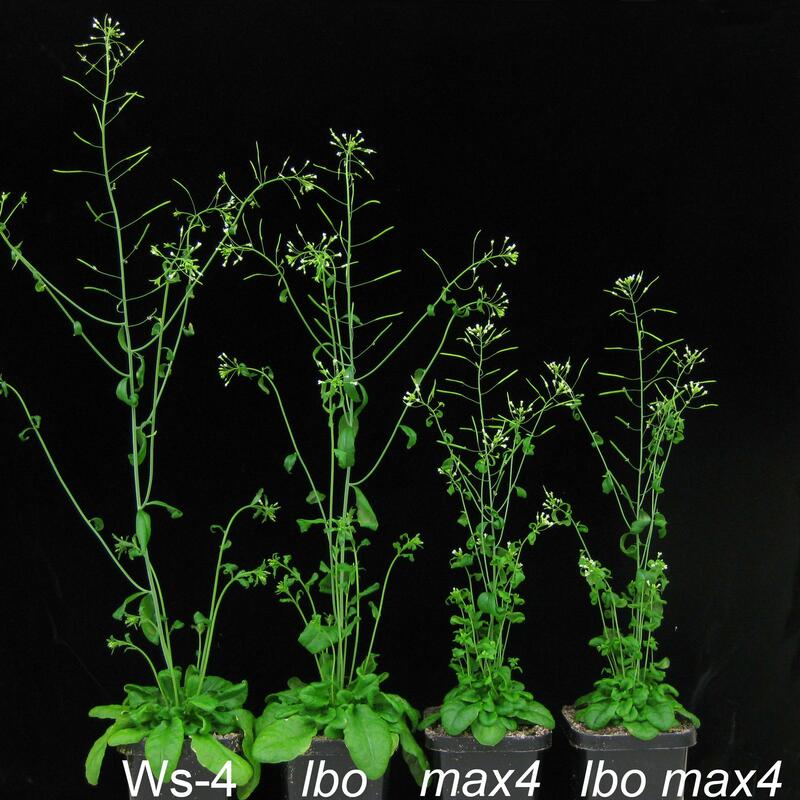 Using mutants, the workhorses of plant development, we can explore other roles of strigolactones. For example, strigolactone mutants have less wood production and enhanced rooting in including rooting from shoot tissues. Our recent work involves nailing down the role of strigolactone in these processes which are clearly extremely important from forestry and horticultural points of view. If we could, at will, induce root tissues from shoot tissues, we could solve problems for endangered species, and for species which are difficult to cultivate such as many forestry species and woody food and ornamental species. 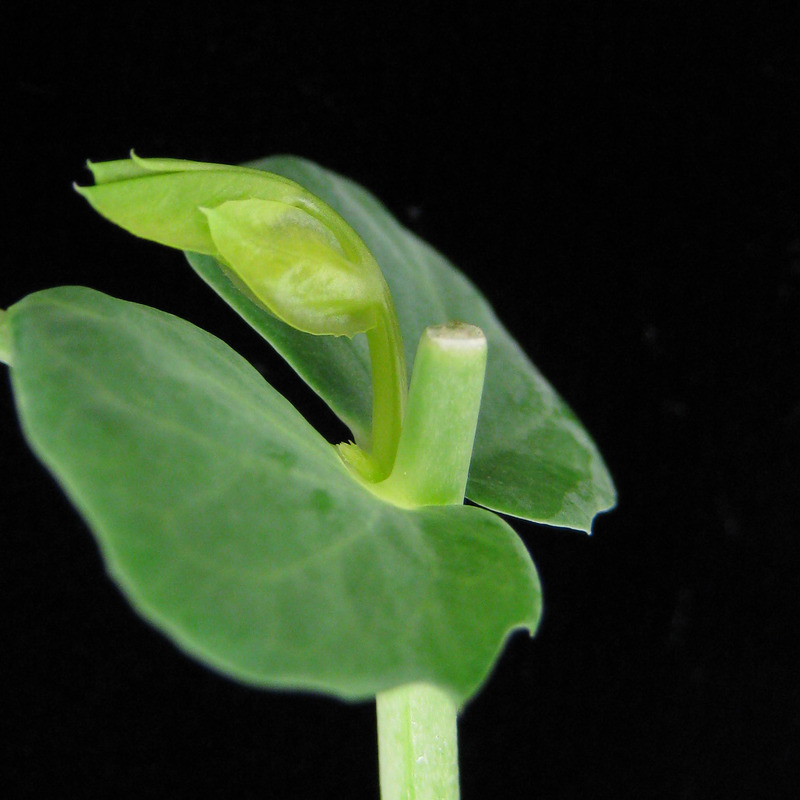 Our current work involves continuing understanding the function of strigolactone in these varied aspects of plant development, as well as in identifying how strigolactones are produced and responded to at the genetic and molecular levels. Major research questions are: how do strigolactones cause profound growth repression; is there a common mode of action for strigolactone bioactivity across the range of strigolactone-related plant phenotypes; how are strigolactones produced and transported in plants; and what is nature of the crosstalk with other branching related hormones. We use mutant based molecular genetics approaches and plant physiology to address these questions. The Beveridge lab at UQ St Lucia campus seeks to undertake research of top quality. This means addressing important questions using efficient and well crafted experimental design. The team members are driven by the natural curiosity to understand how plants grow and develop. The lab members strive to engender a convivial and supportive lab culture. Please note: this website is best viewed with Firefox or Google Chrome.